I know it doesn’t feel like it outside, however, my favorite season is here…FALL! I’m looking forward to cooler weather, pumpkin spice lattes, pumpkin bread, and of course wearing nice cozy sweatshirts! And one of my favorite things about fall? 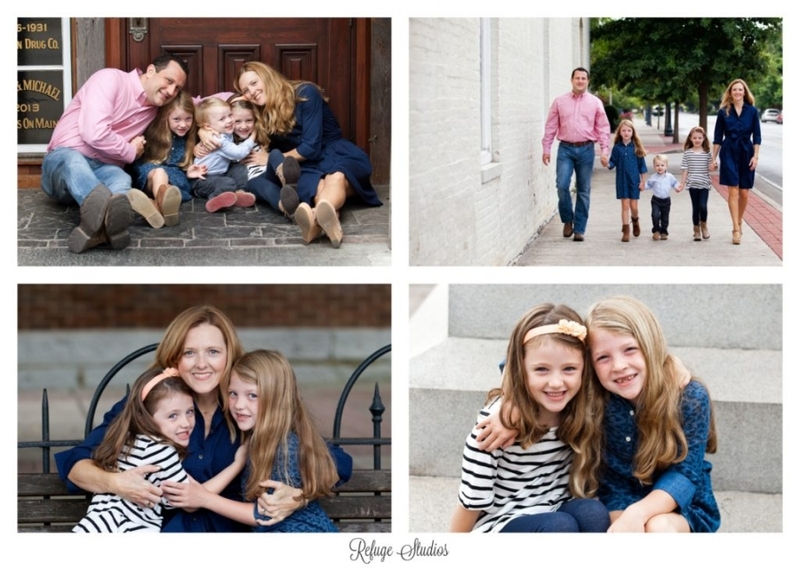 Getting to meet sweet new families while capturing special moments for them to cherish forever! 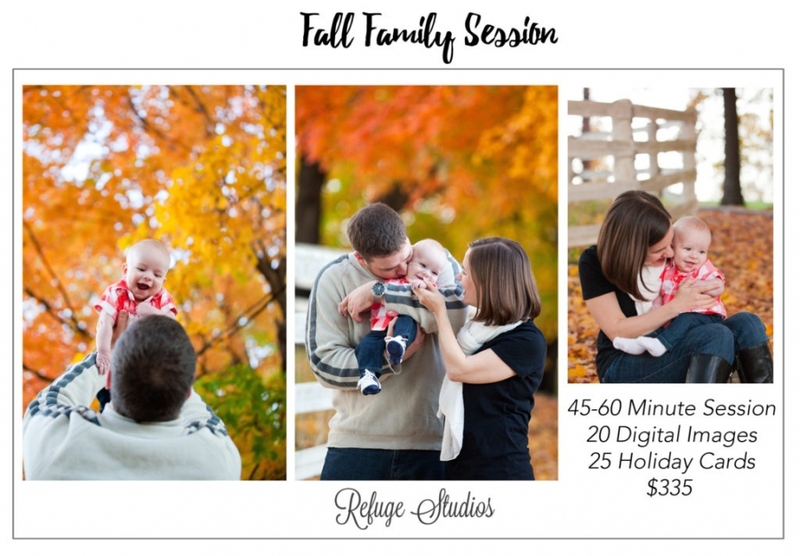 I’m offering full and mini sessions this fall. To check out a full family session click here and here. “Working with Amy is fun and easy. Before we met Amy I stressed about the kids’ moods, the time of day we’d shoot, etc. But with Amy I know there are going to be great shots no matter what – all we have to do is show up! She captures every child in his or her element and individual personalities shine through in every shot. I wouldn’t use anyone else.” -Maggie S.
Contact me today to book your photo shoot! Once I receive your email, I’ll send you all of the details including my Welcome Guide that tells you exactly how to prepare for your session and what to expect! Click here to email me! 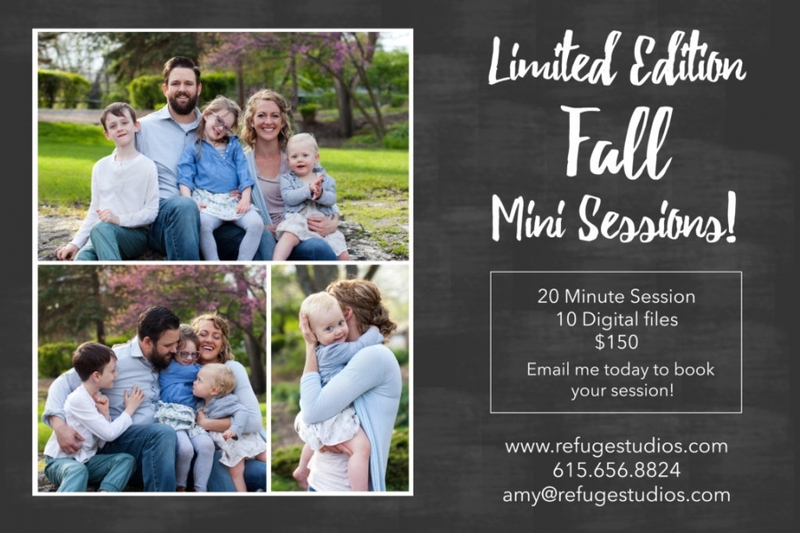 amy@refugestudios.com.